Having previously loved Andrea K. Höst’s sci-fi novels And All the Stars and the Touchstone trilogy, I picked up her Medair duology when I needed to be fully absorbed by a good novel. It’s funny because out of all of her books, I wanted to read this epic fantasy duology first but I didn’t get the chance to read them until recently. 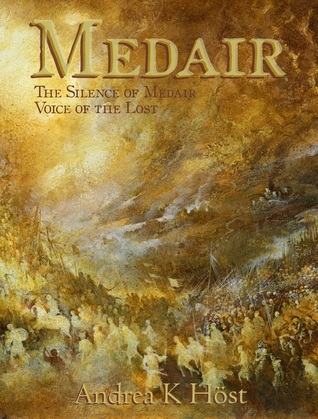 Once again, I would like to thank the author for providing a review copy of the omnibus edition which contains both The Silence of Medair and Voice of the Lost. I feel that both books have to be read together so I’m glad I got them in one edition. I was completely immersed in Medair’s world right from the start. I read the whole thing in just one weekend because I couldn’t get enough of the story and just had to reach the end as soon as I could. I wanted to be swept away into a wonderful world filled with magic and adventure and I’m happy to report that Medair lived up to my expectations. 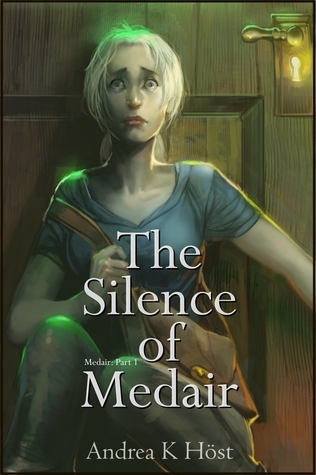 Having had prior experience reading Andrea K. Höst’s other novels, I knew there would be surprising twists and turns in both The Silence of Medair and Voice of the Lost and I was right. 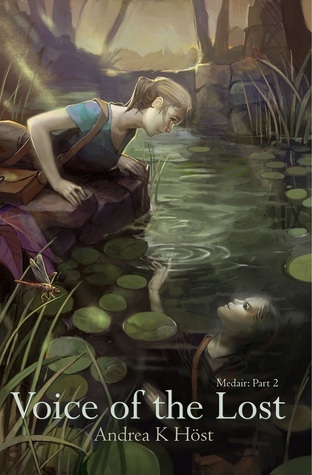 I was immediately intrigued by the premise – Medair is a Herald of her kingdom, tasked with finding a powerful magical object that will help her people win the war. She succeeded in finding what she was looking for, but she stopped to rest in a place outside of time and when she woke up, she discovered that 500 years have passed. Not surprisingly, Medair feels lost, with no idea how to move forward. A large part of the reader’s enjoyment of Medair would depend on whether one will be able to sympathize with her and the issues that she faces. Her narration is very introspective, going back and forth from the past to the present, and trying to reconcile the differences between them. There’s a lot of reflection on her part as she reluctantly becomes involved in making decisions that would irrevocably change the world she found herself in. I loved Medair’s character, I understood her hesitations, her feelings and her worries. She’s an intelligent and resourceful woman, loyal to her liege and her country, and inherently a good person. But completely at a loss with how much has been altered in her world. I do admit that there could have been less of her thoughts going around in circles, even Medair was self-aware enough to realize that she keeps doing that, but I wasn’t really bothered by it. I can see why the narration wouldn’t work for everyone but I’m delighted that I was completely engrossed by it. Aside from Medair, I was also invested in several other characters in the story and I loved seeing her interact with them even as she tries to keep a distance. There’s a whole lot of history and political intrigue intertwined with the story, partly because of the invasion centuries ago, and also because of the alliances of the various governing bodies around the region. I enjoyed these aspects and how magic was also involved in all of it. I like that there weren’t any lengthy explanations on how the magic works but it never got confusing for me. I felt that it was seamlessly woven into the story. I believe that this review wouldn’t be complete if I didn’t talk about the romance in these two books. While I could see it coming, it was how the characters got there that mattered. In keeping with her personality and the situation she’s in, Medair doesn’t take her attraction to a certain someone lightly. As a result, there’s tension and ambiguity. I really had no idea how things would unfold between them. Andrea K. Höst has consistently surprised me with how she builds and develops relationships in her books. While I wasn’t exactly able to predict how things would end, I can say that there was a nice build up and I couldn’t see Medair’s story ending any other way. Similar to the Touchstone trilogy, I can see the Medair duology will be a very good reread. I look forward to finding the time for it. In the meantime, I need to work on convincing more readers to pick up her books because I seriously find it surprising that they’re not as well-known as they should be. I had a book hangover after reading these two books and the only solution I could think of was to start on another Andrea K. Höst title. 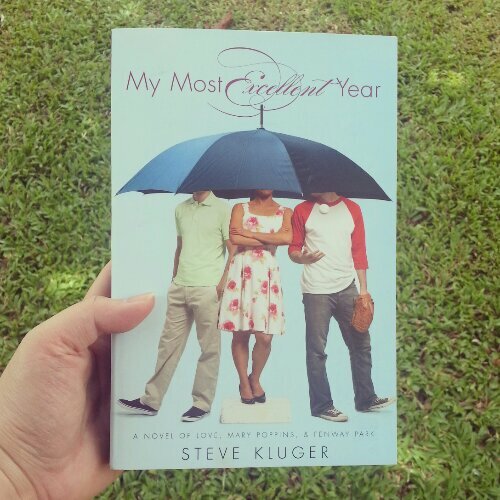 The moment I saw my good friend Maggie of Young Adult Anonymous give My Most Excellent Year by Steve Kluger such a glowing review, I knew I would want to read it. 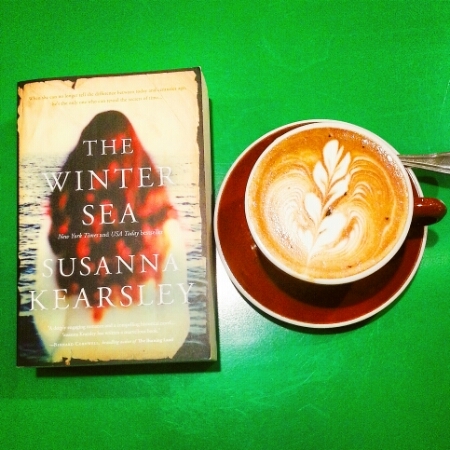 I went on Goodreads and also realized that another friend, Flannery of The Readventurer, rated it highly. I wanted to grab a copy as soon as I could but since books are expensive here in Singapore, I waited until I was in Manila before buying the paperback. I’ve had my copy since December last year and only felt like reading it recently. I was in the mood for a fun contemporary YA read and thought My Most Excellent Year would fit the bill. 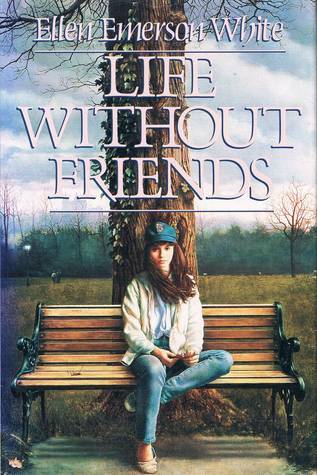 It was published in 2009 so I realized it’s the perfect choice for a Retro Friday review. Best friends and unofficial brothers since they were six, ninth-graders T.C. and Augie have got the world figured out. But that all changes when both friends fall in love for the first time. Enter Alé. She’s pretty, sassy, and on her way to Harvard. T.C. falls hard, but Alé‚ is playing hard to get. Meanwhile, Augie realizes that he’s got a crush on a boy. It’s not so clear to him, but to his family and friends, it’s totally obvious! Told in alternating perspectives, this is the hilarious and touching story of their most excellent year, where these three friends discover love, themselves, and how a little magic and Mary Poppins can go a long way. I am happy to report that My Most Excellent Year lived up to my expectations. It is such a feel good, heartwarming kind of read. I have no idea why it isn’t more well-known. It’s been out for a while now and I think only a handful of my blogging buddies have read it. It’s a good thing I love spreading the word about under-the-radar titles because I need to convince more people to read this. At first glance, I didn’t think My Most Excellent Year was the kind of book that I would enjoy mostly because the story has alternating POVs (T.C., Augie and Alé) and their interests lie in American history and politics, baseball and musicals. While I love seeing musicals, I’m not a die-hard fan who knows all the songs, actors/actresses and notable performances. And I know next to nothing about baseball and American history. In spite of that, I was absorbed by the story because at its core, My Most Excellent Year is about family, friendship and first love. I was charmed by the thought of two boys, T.C. and Augie, deciding to be brothers when they were 6 years old. Not like two best friends who think of each other as brothers, they really act like siblings to the point that even their parents have gotten used to having two sons instead of just one. So they have a Mom, Dad and a Pop. They share their rooms in two households and they have vacations together. I thought it was so sweet how warm and accommodating their families were. This book has such great parents in it, I think it’s worthwhile to point that out since we rarely see wonderful parents in YA. During ninth grade, both T.C. 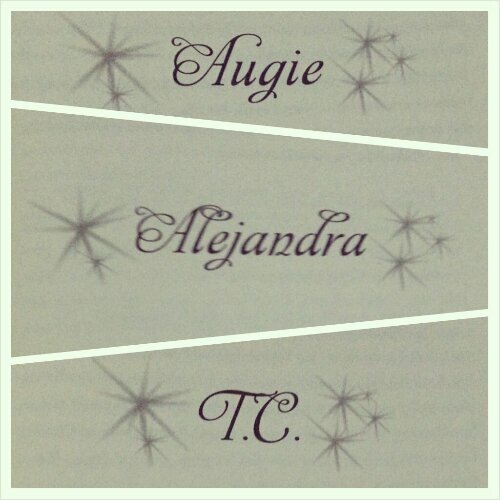 and Augie have to deal with falling in love for the first time. It was so much fun to see them struggling to adjust to what they’re feeling (especially Augie, who hasn’t even figured out that he likes boys instead of girls). It was sweet how supportive they are of each other, not just in their love lives but also in their interests in general. Like T.C. would watch musicals with Augie even if he doesn’t really enjoy them. Being great guys, it’s not surprising when T.C. befriends a lonely, deaf six-year-old boy called Hucky and Augie was right there along with him. T.C. wanted to reach out to Hucky because he sees a young Augie in the little boy, while Augie thinks Hucky was exactly like T.C. when they were that age. I hope it doesn’t seem too confusing that there are a lot of characters in the book because it was very easy to get to know the characters. I also really liked the format of the book – emails between various characters (I loved how even the parents email each other about their kids), IM messages and diary entries. I could relate to the format because that’s also how I communicate with friends and family, especially now that I live away from home. This was such a lovely, immensely readable book, the kind that lets you end on a happy sigh. While younger in tone and feel compared to some of the other contemporary YA novels that I loved, I still highly recommend My Most Excellent Year to anyone who needs an uplifting type of read. I’m mighty curious about the rest of Steve Kluger’s back list. When I asked for music-themed contemporary YA books, Audrey, Wait! was one of the titles that people kept recommending. I decided to borrow it when I saw that a copy was available at the library. I thought it would be a good idea to read this along with my good friend Heidi of Bunbury in the Stacks because she mentioned that she hasn’t read this one either. I had so much fun reading this with Heidi – we divided the book into several sections and we’d email each other back and forth about our thoughts after we’re done reading certain parts. We managed to talk about so many other things during the course of our discussion – ice cream, bands, laundry, college and work. Feel free to check out what she has to say about the book. What I liked about this book is that it focuses on music but the main character isn’t a musician. Audrey is a music lover but she doesn’t play an instrument and she’s not part of a band. Most of the other music-themed books that I’ve read have musicians as main characters instead of just being music fans. I kind of thought it’s like being a book lover but not a writer. I felt like I could relate to Audrey more because of that. And I enjoy listening to music even if I don’t love it as much as she does. This book reminded me of what it was like to attend various gigs and campus concerts back in college. Like Audrey, I had friends back then who were members of bands. Although there was never a song written about me. One thing I noticed right off the bat is that the story isn’t realistic in the sense that things got blown way out of proportion. I mean, how many songs out there are about girls who broke a guy’s heart (or vice versa) and how many times does the public go after the subject of the song? I was fine with the whole thing as long as I recognized that reading it would involve a fair amount of suspension of disbelief. The breakup didn’t even involve a lot of drama – Evan wasn’t really a bad guy, Audrey just decided that things weren’t that great between them. It was supposed to be a normal high school breakup until Evan wrote a song about Audrey that suddenly became popular. 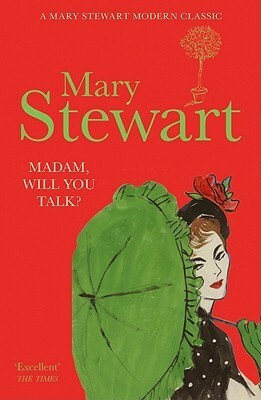 I really enjoyed the first half of the book, the banter between the characters was fun to read. I liked Audrey’s friendship with her BFF, Victoria, and it was cool how reasonable her parents were. We rarely get to see great parents in YA novels so it’s always a good thing when they appear. However, I wasn’t such a fan of the second half. I really can’t put my finger on why that is but I just didn’t find it as engaging as the start of the novel. I guess it felt a bit rushed and I was waiting for a bigger, more complex climax to the story. Also probably because I felt like the romance could have been developed further. It really is a fun book to read but I think my expectations were pretty high because so many other blogger friends loved this. If you’re into music-themed contemporary YA, then I think you’d really enjoy this one. 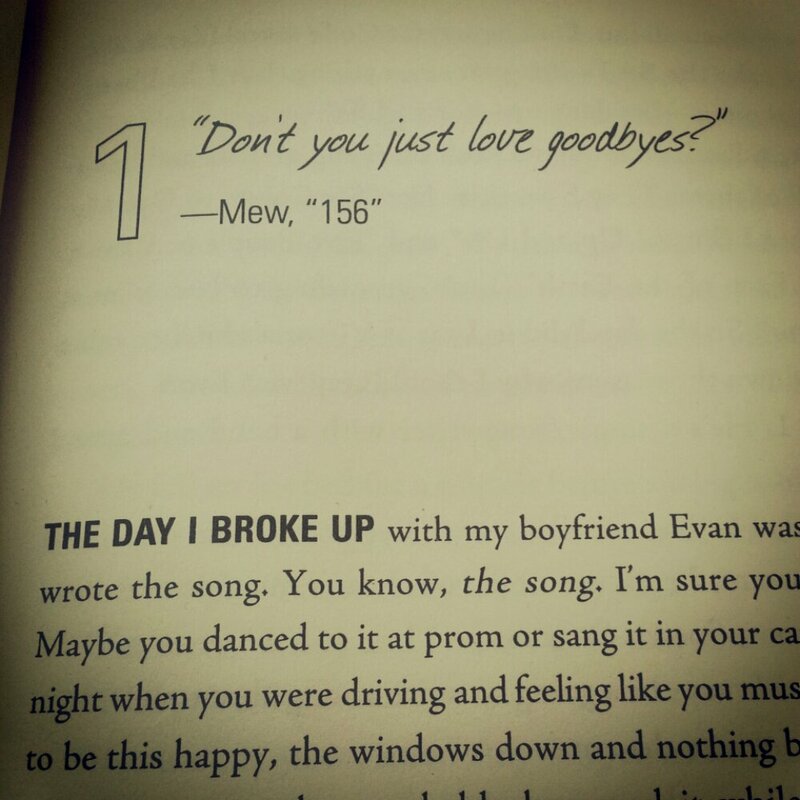 I wanted to make a playlist of all the songs featured as chapter headings – I think it would have been great if I could have listened to that while reading the book. 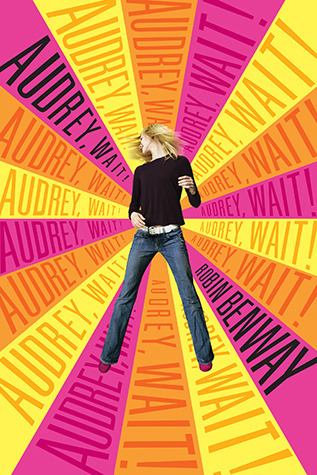 I’m curious still curious about Robin Benway’s other books and will definitely check them out when I get the chance. I’ve been meaning to read the rest of Juliet Marillier’s novels ever since I fell in love with her Sevenwaters series. It’s taken me a while to pick up another Marillier book because the huge TBR pile keeps distracting me with other choices. Nowadays, I’m behind on reviews so I thought it would be a good idea to sink my teeth into a doorstopper so I can catch up on blog posts. The Dark Mirror, the first in the Bridei Chronicles, is certainly one of those with its 670 pages. Bridei is a young nobleman fostered at the home of Broichan, one of the most powerful druids in the land. His earliest memories are not of hearth and kin but of this dark stranger who while not unkind is mysterious in his ways. The tasks that he sets Bridei appear to have one goal-to make him a vessel for some distant purpose. What that purpose is Bridei cannot fathom but he trusts the man and is content to learn all he can about the ways of the world. But something happens that will change Bridei’s world forever… and possibly wreck all of Broichan’s plans. For Bridei finds a child on their doorstep on a bitter MidWinter Eve, a child seemingly abandoned by the fairie folk. It is uncommonly bad luck to have truck with the Fair Folk and all counsel the babe’s death. But Bridei sees an old and precious magic at work here and heedless of the danger fights to save the child. Broichan relents but is wary. The two grow up together and as Bridei comes to manhood he sees the shy girl Tuala blossom into a beautiful woman. Broichan sees the same process and feels only danger… for Tuala could be a key part in Bridei’s future…or could spell his doom. The Dark Mirror spans several years – it starts from Bridei’s childhood when he was first brought to Broichan’s household to endure long years of training. While not cruel, Broichan is very strict and Bridei’s childhood seemed a little bleak without the company of fellow children. Which is why he was ecstatic when he discovers a child left on the doorstep – Bridei names her Tuala and he firmly believes that she is a gift from the gods and he is meant to protect her. 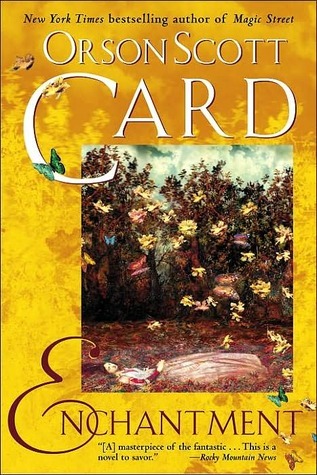 As always, I found Juliet Marillier’s writing lyrical and atmospheric. However, I couldn’t help but feel that the pacing of the book was slow. The first half of the book was devoted to Bridei’s learning and how he relates to Tuala as a child. 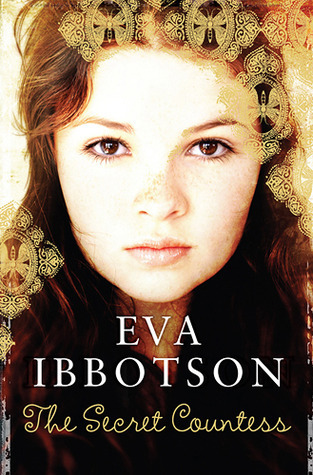 While I liked Bridei, Tuala and several of the secondary characters, I didn’t feel as connected to them as I did with the Sevenwaters characters. I was curious enough about the story to keep on going – I wanted to see how Bridei would develop into a young man and how he’ll face the plans that have been laid out for him. I also wanted to know what Tuala’s role is in Bridei’s life, why she was entrusted in his keeping. But I wasn’t as invested in the story as much as I’d like. I felt a little detached and I guess that prevented me from falling in love with this. 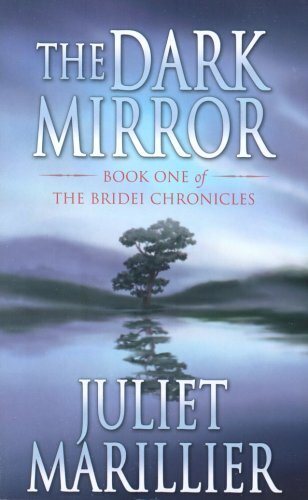 I still believe Juliet Marillier writes excellent historical fiction – I enjoyed reading The Dark Mirror because it reads like a well-researched historical novel with just the right amount of magic to make things interesting. She’s still an auto-buy, auto-read author for me and I’m planning to read the other books in the series because I already have copies. I’m just hoping I’d like them more than I liked this one. The Dark Mirror is a quiet kind of story so I feel like it’s not something that every reader will enjoy. 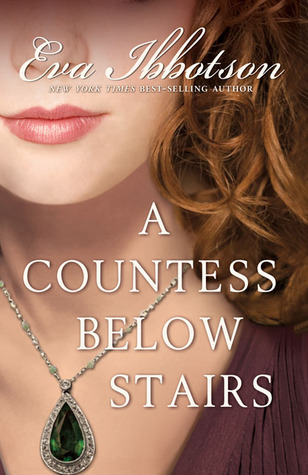 I feel bad that I didn’t find this as amazing as I expected because Juliet Marillier is one of my favorite authors and I can’t even explain why the book didn’t work for me. This experience reminds me of the first Marillier that I read: Wildwood Dancing and the fact that I didn’t love that either. The Dark Mirror really is a well-written novel but I think it just wasn’t for me or I wasn’t in the right mood to read this. If this sounds like your kind of thing then go ahead and pick it up but if you’re reading Juliet Marillier for the first time, I recommend that you start with Daughter of the Forest instead of this one.